RUOK? A campaign which began in 2009 as an initiative of an Australian whose father was lost to suicide. The rationale is that many more people consider or attempt suicide that actually are successful, and that by having one day a year to ask this question it might raise awareness to help those who are struggling. In some respects, RUOK? and the 22 Push-up Challenge are examples of “slacktivism”. An intervention which requires the bare minimum of effort. The collective effort is seen as the benefit of this intervention. Many people ask whether this is of any value. It is a fair question. Consider this: if someone is really struggling and you ask them “RUOK?” can you really expect for them to give you an honest answer. Our default towards avoiding pain and shame is that we will mostly brush off the question with a polite smile, and possibly even the even result in a stinging sense of alienation because the question seems to be so superficial. So what is the alternative? Is it better not to ask? Derek Weida is an American Iraq War veteran whose leg was amputated as a result of injuries while sustain on duty. He is is skilfully provocative with his posts on Facebook. Far from just seeking attention, I really believe he cares about what he talks about. Recently, he gave a lot of focus to ranting about the 22 Push Up Challenge. His view that people we far too obsessed with the number 22. Rather than being focused on strengths, it pushed us into a culture of victimhood. You can read more about this and see his video on this post at Task And Purpose. Similarly, is RUOK? pointing to the hole which someone might be silently suffering in, rather than constructively building a way out? We could discuss this all day and not come to an unified response. What do you think? Much like the 22 Push-Up Challenge, I believe that the RUOK? initiative is good, but it can’t stop there. There must be some action orientated activity following the question, often involving taking time to listen to another person. Part of the reason I have been asking people to join me vicariously in the training for the marathon by adding “+10” to my daily post is that it gives a sense of the daily attention we need to bring to helping those who might need our support. It takes effort. This current training and marathon is associated with raising awareness for the need to improve mental health among veterans. It is real, not just some social experiment. I believe that the learnings from this will help in our understanding of what makes a difference in other areas too. I am doing this now because I care about the health of veterans, partly because I am a veteran myself. I also know that the benefits we realise from working out what works will help in this overarching pursuit that seeks to improve child survival. Enough of the big ideas. I just want to finish by asking one question. Yes, I’m asking you. RUOK? 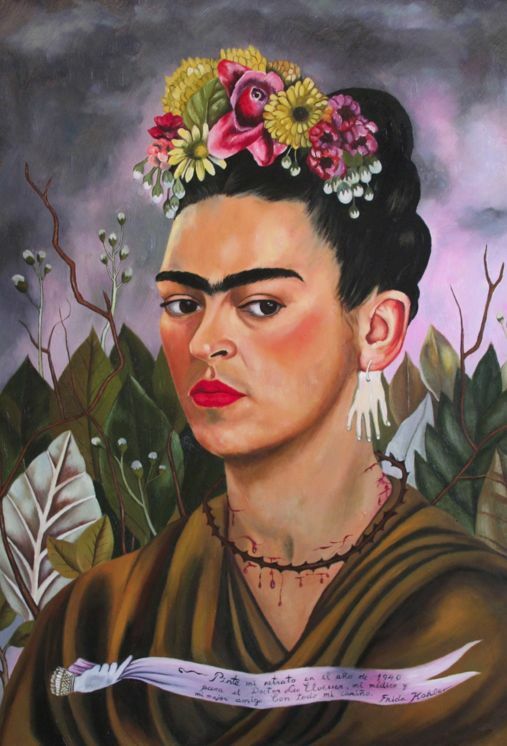 This entry was posted in Activism, mental health and tagged Activism, Inspiration, RUOK. The first photo that appeared on this blog was at the beginning of September 2010, only a few days after I had committed to the journey. 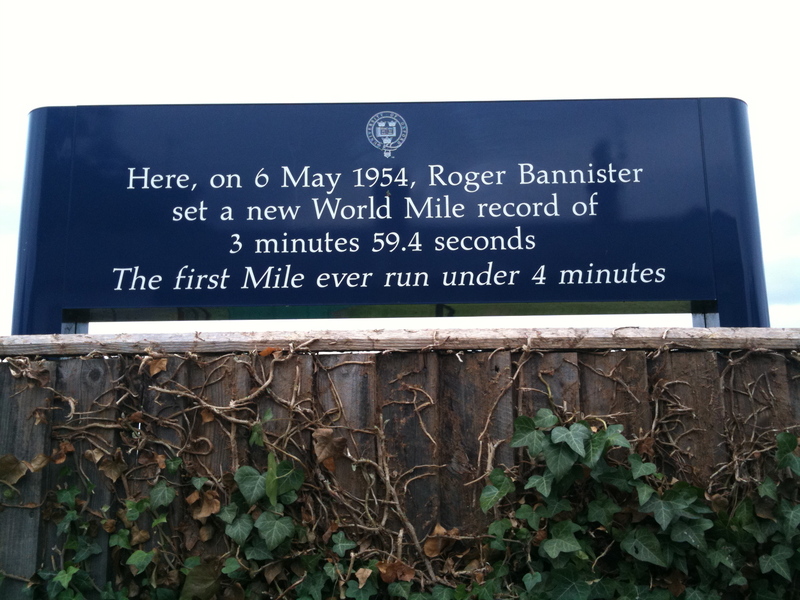 The photo is taken in Oxford, outside of the running track where Roger Bannister broke the four minute mile as a record for the first time. The story about Bannister is now well known in summary, or at least the bit about what happened after he broke the record. So the story goes, after he broke the record there was a flood of people who broke the record, now that some elusive so-called psychological barrier was lifted. This is no actually the case. Yes, there were people who broke the four minute mile after Bannister, but it hasn’t been many, and only men. What is perhaps more telling is the process he used to break this record. It was only made possible with the help of fellow-runners as pacemakers. And this is a most interesting piece of no-so-trivial trivia. I took this photo while in Oxford in 2009 during the conduct of an earlier ridiculous challenge that I had set myself: the 9 City Bridge Run, where I ran 9 sub-marathons in 9 cities across 9 countries inside of one month. The similarity between the two initiatives that the execution both times left a lot of room for improvement. The 10 City Bridge Run was ‘threaded onto this needle’ in making a patchwork of 100 stories by what I considered to be an unsatisfactory effort in 2009. How did I miss this important factor in Bannister’s success? In fact, how does this one small fact escape all of our attention?! It is so elementary, yet critical to performance. The help of fellow-runners as pacemakers. It is no good having those fellow-runners and pacemakers if you are either not listening to them or not communicating to them. It implies an intimate level of trust and teamwork. A common goal. A shared vision. The good news is that the race is far from over. Bannister, must like others, must have tried dozens if not hundreds of time to smash this record with these pacemakers, or at least trained hard together in practice. Consider the stunt that this 100 patchwork tapestry that I am now blogging about as the practice, and the main event coming in the form of the Design Forum. Will you share this same impertinent level of audacity that we can, together, smash a world record for the benefit of those most in need? Delivering on the promise of improving child survival. First, we must know what defines the race, and secondly, how our performance will be measured. We are competing against ourselves, and we must succeed. This is the second patch of 100 stories that defines the journey I have recently concluded. Leave a comment and let me know how you like my handiwork! This entry was posted in Activism, Inspiration, Roger Bannister and tagged Activism, Inspiration, Roger Bannister. Recently, actually nine months ago which is not so recent, I completed a journey called the 10 City Bridge Run. It was immensely more difficult and challenging that I could ever have imagined. Perhaps I made it harder than it needed to be, and some of the circumstances of my own life at the time didn’t exactly contribute to making it a talk easy to achieve. But achieve it I did. I ran 10 sub-marathons each of 24 km (some slightly shorter, and a few much longer) in 10 cities across 10 countries in a month. But that didn’t complete the epic journey I was on. There are two deliverables unfinished. I still have the book Life Bridge to deliver which will contain an inspiring photo essay of human bridges to capture a thought that it is they connections between us is what is most important to change any problem. This journey was made possible from the generosity and support of many people who contributed small amounts to ensure I could sustain myself along the way. Without this help it would have been impossible. It was a tough ask as it was. Much of the journey was spent essentially homeless while overseas, often with little or no money for food. This was an unexpected part of the stunt, and a factor that I felt unable to readily share with the community of followers partly because I thought it would degrade their confidence in my efforts, and partly because the sense of shame I felt was too great for me to share that experience at the time. So before I complete these two outstanding deliverables, first I am going to say thank you to the supporters who made this journey possible. And that will be done through a patchwork of photos from the journey. 10 x 10 photos. 100 squares, with each square part of the journey. I’m getting this printed shortly, and then I will send it. What took place might make more sense to you, and also to me with some benefit of retrospective hindsight as I reflect on what took place. So this is the first square. My intention to say thank you. Another 99 stories to come. And it’s good to be able to share this with you. This entry was posted in Activism, Inspiration and tagged Activism, Inspiration. What does it take to build a bridge? The commitment I made at the conclusion to the Introduction to Human Centered Design (Design Thinking) course last year. We are taking it forwards, and I hope you might join us along this epic journey! The Design Forum is an extended conversation across nine months, knitting together a series of 10 key events occurring in each of the cities where the 10 City Bridge Run wove a path. 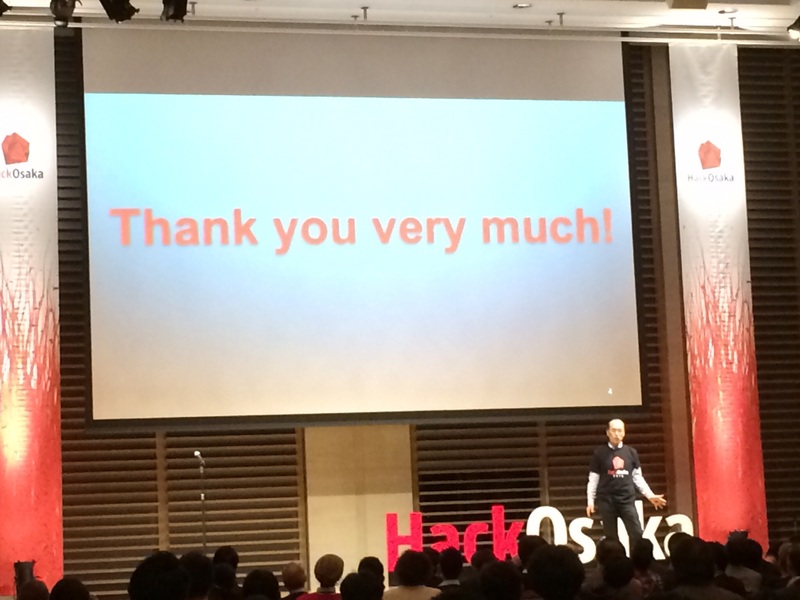 It begins with the first of these Design Forum in Osaka commencing on 9 February 2015. The Design Forum, much like any conversation, draws upon the alchemy between people to build a bridge. We are beginning at the beginning. We will begin with a conversation. And that conversation will be both online and with people who are present in the same location. Rather than the formality of a conference, we will start with the familiarity of a conversation. Like any conversation, there is certain etiquette but no actual rules. People can come and go as they would in real life (because this is actually real life!) Online or in person, it doesn’t so much matter. Still very much part of the conversation. The theme of the first Design Forum is “Designing the Design Forum.” The Osaka Design Forum will be a discrete event in Osaka, and won’t conclude until a free, seven-week, online course which provides an Introduction to Design Thinking concludes. Some people might want to know how they can participate when their lives are busy and can’t afford seven weeks. That is completely understandable. I will be posting my notes from the Design Thinking course online in a weekly post, and so people can feel engaged even if this is only vicariously. Everyone’s contribution and questions would be very welcome at any time no matter how much time you can spare. Seven weeks is a long time! Yes, the Design Forum in Osaka can more properly be seen as taking place over two days: 9-10 February. Because the Introduction to Design Thinking course is so integral to the theme of ‘Designing the Design Forum’, it defines the duration of the first Design Forum. 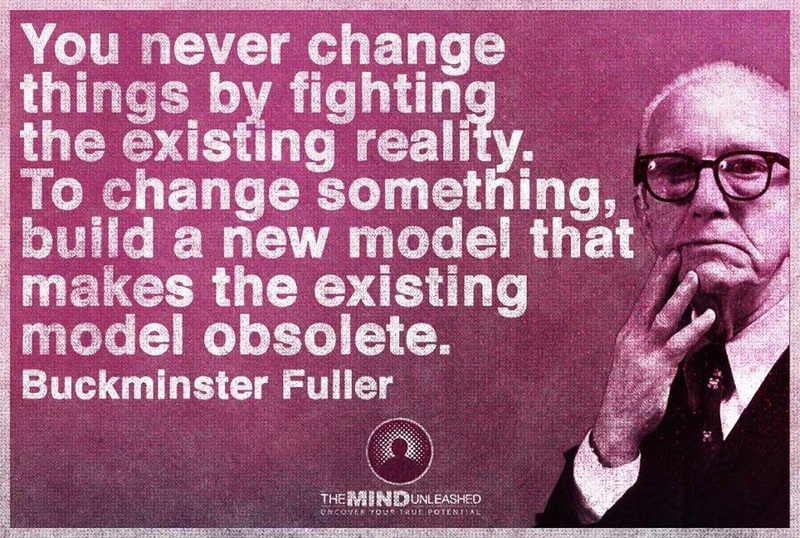 The Buckminster Fuller Institute announces the dates of the 2015 Fuller Challenge. Each year, BFI awards a $100,000 prize to support the development and implementation of an integrated design solution to solve humanity’s most pressing problems. BFI invites the world’s scientists, designers, architects, engineers, planners, artists, students and entrepreneurs to enter their strategies that simultaneously solve for the systemic context underlying the problem while dynamically transforming current conditions. We will be designing the Design Forum that will continue through Port Moresby, Glasgow, Toronto, New York, Sydney, New Delhi, Singapore, China (city TBA, but I am hoping we could return to Shanhaigaun), and concluding in Seoul. Not only designing the journey that this epic conversation will take, but making a contribution that Buckminster Fuller himself would be satisfied with. You can sign up for the Design Forum here, and register for the Introduction to Design Thinking here. You are invited and you can invite anyone you want. Make new friends. Open the circle. Build a bridge. This entry was posted in Osaka and tagged Activism, Buckminster Fuller, Design Forum, Fuller Challenge, Human Centered Design, Inspiration, Osaka. 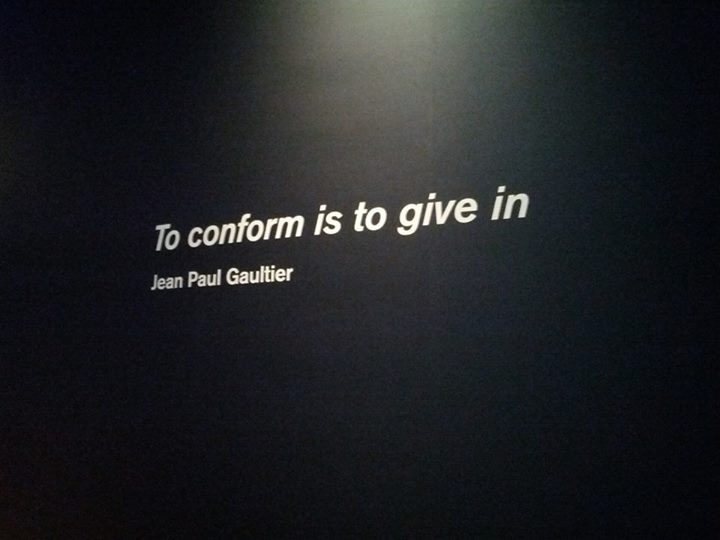 Thanks to Joanne Jacobs for sharing this provocative photo of inspiration! 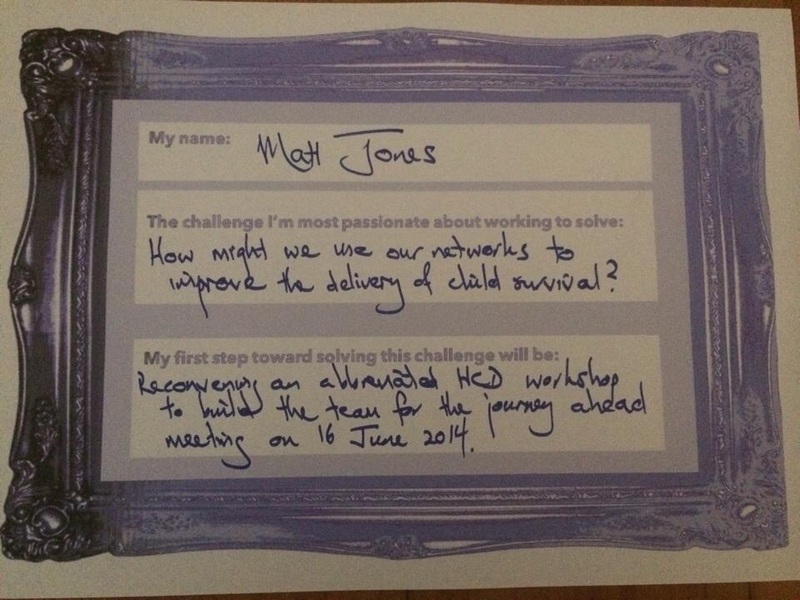 2010 was the year an idea about challenging the action that was being taken to address child survival was conceived. The idea was bold, and from the beginning sought participation from others. The reason for running 24 km was in response to the emphasis made by many organisations in 2010 promoting the 2008 figures of child death per day which had been released by UNICEF. The figure was 24,000 children dying on average daily. A wholly unacceptable figure, which has since been reduced by a third, and progress for the future shows signs of being promising. I wasn’t an expert in the field, and it struck me that few were. Canvassing my friends about the importance of the issue showed the effectiveness of marketing campaigns from institutional aid agencies, but apart from that little more knowledge. I thought that in a networked age where communications and health infrastructure was better than ever, was there not more we could do to crowdsource and then implement some form of solution or positive intervention? This was the point of the running stunt. I would run in 10 cities, simply to highlight the year 2010, and conclude with what I had loosely defined as a ‘Design Forum’ at the end to address the issue. There was no budget, no institutional backers. Just a mad Australian with a little bit of passion, who had been given legs by many friends each contributing a small amount through a makeshift crowdfunding campaign. I took the idea to several institutional aid agencies and charities who had a vested interest in the idea. Would they partner, or was there somehow I could support their efforts? I wasn’t asking for money, and it just have been evident that perhaps lacked some experience in that sector. Their response, especially in hindsight having now completed that journey after much tribulation, was astounding. I was met with the same response, and that surprised me: “sorry, that is not consistent with our messaging”, “we can’t quite see how it ties in with our fundraising efforts”, and other such words that effectively closed their door to my invitation. I was at a loss as how to respond to this response from the aid agencies that so effectively had appropriated the issue of child mortality. Was I mistaken, and maybe my ideas were ill-conceived and ridiculous? Reflecting on their response, I remembered back to Boxing Day 2004 when a catastrophic tsunami would smash against Aceh and many other towns in the Asia Pacific. It was an unprecedented event. At the time, I was still serving as an Australian Army Officer and then had a responsibility for planning emerging operations across the region. From the moment the first phone call was received on Boxing Day afternoon and being probably the first person in Australia to hear about the incident, we spared no effort for the following weeks with literally no rest or respite so as to respond with critical support to assist the logistical, recovery and humanitarian needs which were many. Aid agencies of every manner were part of what I describe as a third wave of tsunami after a second wave of tsunami crashed around the world as the general public awoke to the horror of what had happened. Many aid agencies were quick to adjust their messaging to receiving funding from an empathetic public. A short while later, reports in Aceh were of degraded roads and bottle-necks from the inundation of traffic of aid agencies wanting to be the first organisation to be seen to arrive and distribute food and blankets. This hampered getting water and other critical supplies to remote areas. It would have made more sense for the aid agencies to coordinate their efforts in Kuala Lumpur and deploy as a collaborative effort without concern for which person from what organisation arrived first. Now, a decade on, we look back on Aceh. There are questions about where some aid money ended up. Such questions are worth examining, but not too pointedly perhaps. The generosity that allowed the aid in the first place does deserve accountability, and that is a separate issue from that which is being raised in this post. Child survival is an issue which has been strongly advocated for, from politicians such as Hilary Clinton to actors the like of Ben Aflick. All have spoken with the same staunch plea, demanding urgent attention, mirroring the words of Tony Lake the Executive Director of UNICEF who in 2012 rightly described child mortality as a “moral obscenity” and a “moral abomination”. Earlier this year, we saw a very positive report from Bill and Melinda Gates in their Annual Letter which has taken a different approach to the ‘alarmist’ view of an appalling situation that has underpinned the messaging of institutional aid agencies to date. We have turned a corner. He future looks bright. There is no better time to conduct the Design Forum for an issue like child survival. Just because the future is painted as a bright place to visit, it doesn’t mean the road is downhill from here. There is still a lot of work today, but through collaborating with those interventions that we know work and learning from interventions that have been less successful. The Design Forum is a conversation that will last nine months and beyond. Is picks up a conversation which has started many decades prior. And everyone is welcome. I expect many people will watch to see how it unfolds, and then get involved once it takes shape closer to May. In the meantime, there is a lot of information out there, there are many people with first-rate experience to draw upon, there is a lot of data. There is no ownership in this conversation. It is a collaboration. Part of that involves challenging and questioning that which has been said in the past. Even Bill and Melinda Gates’ aspiration should be challenged in order to understand it better. Theirs is a bet. I don’t propose we refute it, but we definitely should examine and scrutinise it rather than just accept everything because it is already on the interwebs. What better form of respect can we give reasoned thought than to challenge it with our own intellect, rather than just accept it blithely? We are breaking new ground in a conversation that is long established. We give ourselves permission to question everything, even the experts. This entry was posted in Activism and tagged A promise renewed, Aceh, Activism, aid agencies, bill and Melinda gates, Child mortality, Child survival, Design Forum, Running, Tony Lake, Tsunami, UNICEF. I remember back to my university days where I elected to study feminist theory during much of my foray into Art History. It was probably one of the most formative academic influences in my life, and the lessons I learnt from long hours absorbed in the beautifully illustrated books under that great dome of the La Trobe Reading Room in Melbourne’s State Library. This week, I emailed a good friend with some unresolved feelings about what The Personal Is Political actually meant for me. After crafting many an essay where the expression was deployed with aplomb, I was brought to a halt with the realisation that my understanding might not have penetrated much deeper than a strong intellectual resonance. My brother’s death and the 10 City Bridge Run which is the epic journey that this blog relates to were intertwined through his son Xander who died an early death as an infant. I was observing the media circus coveting an exclusive release from the very serious and tragic Lindt Cafe incident. If you think my description of circus is callous, look no further than the exclamation of ‘Congrats!’ from one well-known person in the wake of the heartbreaking conclusion to the siege. So why was this such an issue? I was taken back to the how the media and government played out the MH17 incident. On board that flight was my uncle with three of his grandchildren. The resources that CNN alone poured into getting me onto the line were astounding. How was I to make sense of this in my personal life, and then express that to a public audience of friends. To be honest, it had me stumped for a while. The Personal is Political. More than ever, we have seen this being expressed through taglines such as #illridewithyou. Laying of flowers was a very personal thing to do, but it could be equally interpreted as an expression of defiance against threats to pour good society. The discussions that were waged either side of this often became slagging matches between the Left and the Right. Harsh? Unfair? Insensitive? Not at all. It is the tragic events that draw us closer to appreciating what we value most. As painful as that can be, it is a very human experience that we should be open to so as to listen. The Personal is Political. The activist becomes effective when they move beyond being fuelled by an anger that is distant to their own personal experience. The activist must connect to what matters to them, and know why it matters for them. It doesn’t mean they must be anger, but it often is a by-product of passion. The Personal is Political. For too long child mortality has been represented by statistics and information stalls giving away showbags full of bookmarks and PostIt Notes. Unless we connect to what matters, and why it matters to us, these Design Forum will be a flop and a waste of time. I have had a lot of time to think during some of this running. Contemplating why? Getting to that point of thinking maybe I have it all wrong, and I should leave it to the ‘experts’. Those doubts are natural in taking ownership of what an issue means for you. It has to come from within. The Personal is Political. It is the passion that comes from knowing The Personal is Political that enabled me to get other my hesitation and push the publish button on the campaign to fund this epic journey to honour my brother’s legacy. Please visit the page at this link, share it, and if you are able please contribute. Whatever you do, just remember one thing. The Personal is Political. This entry was posted in Activism and tagged Activism, Child survival, Lindt, MH17, The Personal Is Political.